Congratulations – you’ve won a piece of ravishing Ruby Olive, baby-safe jewellery! Thank you for registering your interest in becoming a Babyology road-tester, you’ve been selected to try out and keep some beautiful Ruby Olive jewellery. 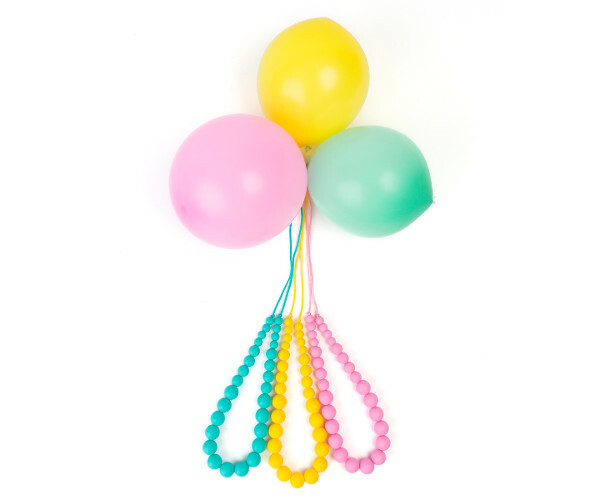 You’ll be receiving either a Softies necklace, pendant or bangle – all of which are bright, fun and perfectly safe for baby to play with or chew on while you’re wearing them. We’d love you and your little one to put them to the ultimate test, and then let us know what you thought so we can share it with the Babyology community. Your piece of Ruby Olive Softies jewellery will be delivered between 3 – 7 June, but if it doesn’t arrive please contact the Ruby Olive team. Once you’ve received your jewellery and had the chance to try it out, please ensure you complete the survey by 21, June 2016. We look forward to hearing what you thought!